In the late 1960s, John & Yoko began the "Imagine Peace" campaign as a part of the anti-war effort against the US occupation of Vietnam. They utilized mass media, such as magazines, newspapers, billboards, and television, as a vehicle to spread pacifist messages to a wide audience. A famous project central to their campaign was the “Bed-in,” a series of two week-long press-conference-like performance art events in a hotel room first in Amsterdam and then in Montreal following their celebrity wedding, with the objective of turning the star-craving media attention upon themselves into a sit-in protesting against the Vietnam War. During the course of the week, John & Yoko spoke to celebrities, politicians, activists, world leaders, and joournalists who visited and phoned in to discuss issues related to war, violence, inequalities, pacifist strategies, media, etc. Dressed in all-white pajamas, they held protest signs and led sing-alongs with other musicians and artists. To John & Yoko, world peace is a possibility only after a critical mass of people imagine it as a possibility first and then adopt it in their everyday lives. Yoko Ono, now 74 years old, has extended the John & Yoko anti-war agenda into the early 21st century political and technological context. 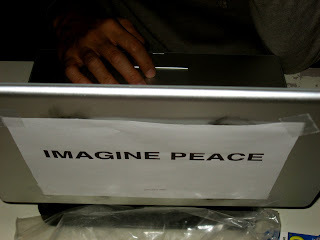 The most recent form of the “Imagine Peace” campaign involves the implementation of her website [www.imaginepeace.com], a virtual hub serving to enlist people around the world to rehearse the idea of peace while enacting it by repeating the mantra of “imagine peace” in various ways in their daily lives. For example, she encourage to download from her site desktop graphics, website banners, and Myspace icons. Ono also has a Myspace and Facebook page. On the main page of the site, Ono keeps a log of news about her recent activist and art projects. The most recent post displays for Ono’s statement of support for Aung San Suu Kyi, the political leader currently imprisoned for her free-Burma resistance. In addition, on her website, Ono has included an instructional page for her performance art piece “Wish Piece,” soliciting participants to create and display personally designed peace-ful messages to be exhibited on a tree. Ono has re-contextualized a Japanese traditional practice for the objective of world peace. This effort is joined by Ono’s “Wish Tree” gallery exhibits, from which she has collected peace wishes around the world. So far, she has collected a sum of 495,000 wishes. The Imagine Peace Tower, a large, minimalist structured light beam, projected upward into the pitch-black sky of Reykjavik's night with solemnity and strength. The structure is comprised of a 55-foot platform that sits on a 6.5-foot tall wishing well, onto which is “imagine peace” inscribed in twenty-four languages. Ono plans to bury the peace wishes in “capsules” around the Imagine Peace Tower while planting a tree on top of each capsule. She envisions an eventual forest symbolizing the world’s collective wish for peace. Sean Lennon and Ringo Starr partook of the celebration as Ono’s entourages. In a speech, Ono invoked the intent of the tower: “We are here together. Billions of us. Standing at the dawn of a new age determined to shift the axis of the world to health, peace and joy by loving and caring for all lives on Earth.” The presentation ended with her performance of “Onochord,” an interactive flashlight performance piece signaling the phrase “I love you.” Echoing the logic of many of her performance art pieces, the Imagine Peace Tower is not only a reflection of the artist’s vision. Moreover, it is a socially engaged imperative that ignites, sustains, and augments peace - as a mental state and practice – among the individuals in the world. Art, in this case, is not created for the sake of art only, but for a social cause. Ono’s anti-violence activist agenda has been consistent in her art projects since her participation in the Fluxus movement in the late 1950s. In 1964, her performance of “Cut Piece,” a Fluxus performance-based work in which she kneeled on stage while instructing her audience to cut off pieces of her clothing. The compelling images of feminine fragility and body violence evoked in this piece, some thought, challenged the assumptions about the role and representation of women in contemporary society. Others interpreted “Cut Piece” to be a contestation against the Vietnam War. Since then, Ono has participated in a number activist music projects. Her 1995 album Rising, a collaborative project with Sean Lennon’s art rock band IMA, voiced social concerns for HIV-positive individuals. To mobilize support for gay marriage she re-rendered a 1980 hit on Double Fantasy “Everyman Has a Woman Who Loves Him” into queer friendly versions – “Every Man has a Man Who Loves Him” and “Everywoman has a Woman Who Loves Her.” Furthermore, she played a crucial role in Amnesty International’s production of two compilation albums: first one is titled Wake Up Everybody, a post-911, politically charged album containing her re-make of “Give Peace a Chance”; second one titled Make Some Noise is an effort to raise global awareness on human rights crisis in Darfur. Ono's production of peace hopefully speaks to an audience wider than ever before. It’s been more than 40 years since the emergence of the fraught Beatles-related myth about Ono. My sense is that people are now starting to pay serious attention to her artistic and political contribution. 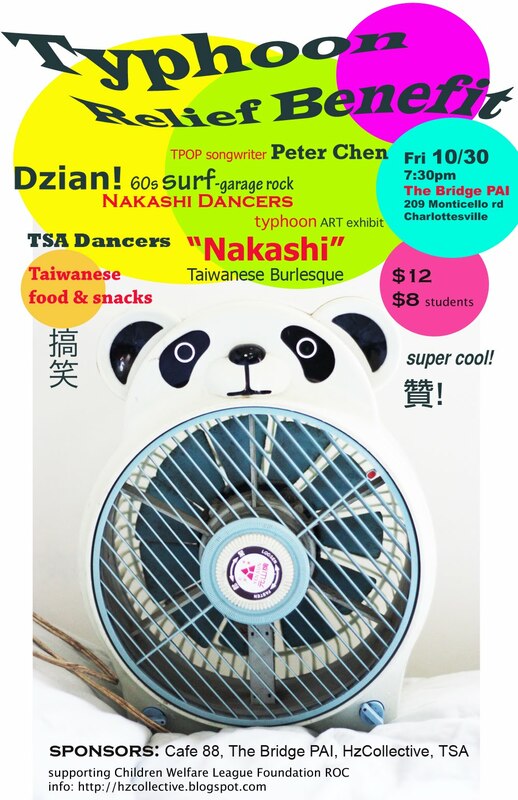 Among the recent key advocates for Ono include Thurston Moore, Pet Shop Boys, Cyndi Lauper, Laurie Anderson, as well as cultural critic bell hooks. I watched the unveiling ceremony broadcast on Icelandic TV that night. The spectacle exuded peace, serenity, warmth and social connectedness. When the children's choir sang Lennon’s “Imagine” in Icelandic, the brims of my eyes got a little moist. For over thirty years, Ono has not ceased for a moment to instill positivity into the world. “Negative thoughts are a luxury we can't afford,” Ono notes on her Website. Yoko Ono’s message of courage, pacifism, and love, I hope, will continue to reach and move more individuals in the world. To me, Ono-ism is pacifism in its most poetic and imperative form.